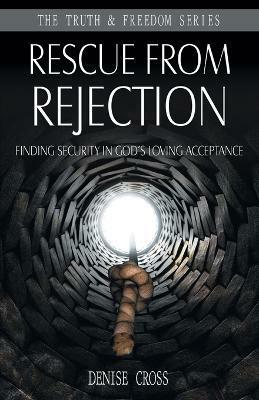 Finding Security in God's Loving Acceptance. Denise Cross has extensive experience teaching and ministering on the subject of rejection and gets to the roots of why we feel rejected and how we can overcome the power it often has, sometimes unwittingly,over our lives. With Biblical foundations evident throughout the teaching, Denise helps the reader to understand how our self-identity can be distorted through experiences of rejection. Rejection can be a consequence of unhealed emotional wounds received from as early as conception. This book helps bring these wounds to light and can minister deeply into the lives of those that need help. Use this book to walk a path of self-acceptance and breathe new life into your relationship with others and with God! This book is part of Sovereign World's 'Truth & Freedom' series based on the renowned teaching program from Ellel Ministries International.